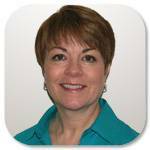 Patty Clark is the Director of Content Development. In her role, she oversees the development of courses and partnerships and supports Math Solutions consultants and Directors of Professional Learning in their work to design and provide professional development for district-level administrators, school-based math leadership teams, coaches, and teachers across the country. Patty has facilitated partnership projects with Deer Valley Unified School District, Atlanta Public Schools, East Baton Rouge Parish School System, Baltimore County Schools, and Cypress Fairbanks Independent School District, to name a few.Prior to joining the organization, Patty worked for twenty years as a teacher and instructional specialist in Texas, New Mexico, and Virginia. She holds a Master of Arts degree in Elementary Education, with a focus in math, science, and technology from the University of New Mexico. Patty lives in Manassas, Virginia.